As the First World War spread across the world, young American women flocked to work in factories, painting clocks, watches and military dials with a special luminous substance made from radium. It was a fun job, lucrative and glamorous – the girls shone brightly in the dark, covered head to toe in dust from the paint. However, as the years passed, the women began to suffer from mysterious and crippling illnesses. It turned out that the very thing that had made them feel alive – their work – was slowly killing them: the radium paint was poisonous. Their employers denied all responsibility, but these courageous women – in the face of unimaginable suffering – refused to accept their fate quietly, and instead became determined to fight for justice. 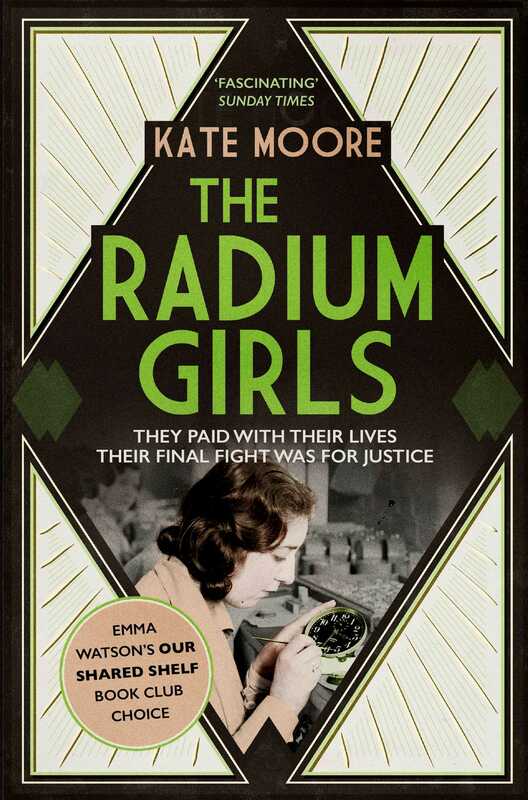 Drawing on previously unpublished diaries, letters and interviews, The Radium Girls is an intimate narrative of an unforgettable true story. It is the powerful tale of a group of ordinary women from the Roaring Twenties, who themselves learned how to roar. ‘Thrilling and carefully crafted.’ Mail on Sunday?